In a race car, there are two things that require a high level of protection: The driver and the fuel cell. For one, the chassis of a race car should be strong enough to handle crashes and collisions to prevent as much damage as possible to the driver. However, when protecting the fuel cell, the placement needs to be carefully considered in the design. In addition, the fuel cell itself should be strong enough to handle forces from all the directions. Just like the race car relies on fuel to provide power, a desktop computer requires the power supply unit to run. A good power supply unit should be safe to use and it should be able to generate the required power. Not just that; the power supply unit should have a long lifespan as well. All of those requirements combine leads to two important points of evaluating a power supply unit: Good circuitry design and use of high quality components. That is why in an APH Networks power supply unit report, we will not only talk about the external design, but we will also open the power supply unit, even at the cost of waiving the warranty to carefully investigate the internal design. 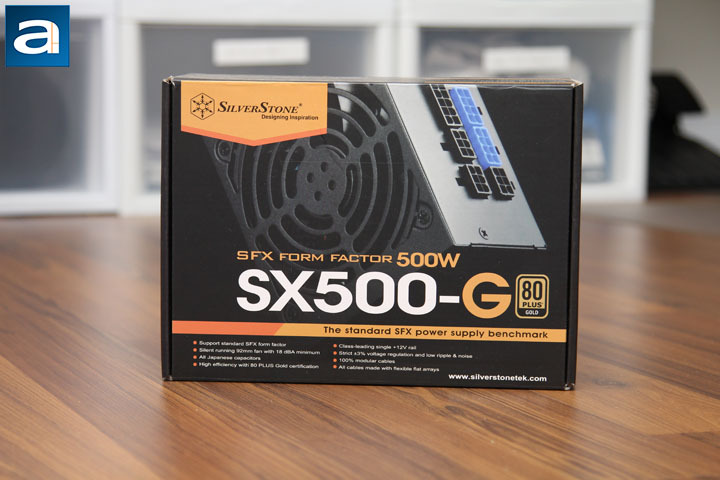 As for today’s review unit, the SilverStone SFX SX500-G 500W, we will take a good look at it inside and out. Is it a good power supply unit? Let us read on and find out. Today’s review unit was shipped from Chino, California, USA to us here in Calgary, Alberta, Canada. Chino is the location of SilverStone’s office in North America. You can see there is a hole on the parcel, and that really makes us nervous about the safety of whatever is inside them box. Fortunately, the review unit turned out to be fine. After more than a thousand miles of transportation, I just cannot blame UPS Standard for only a slightly damaged shipping box. 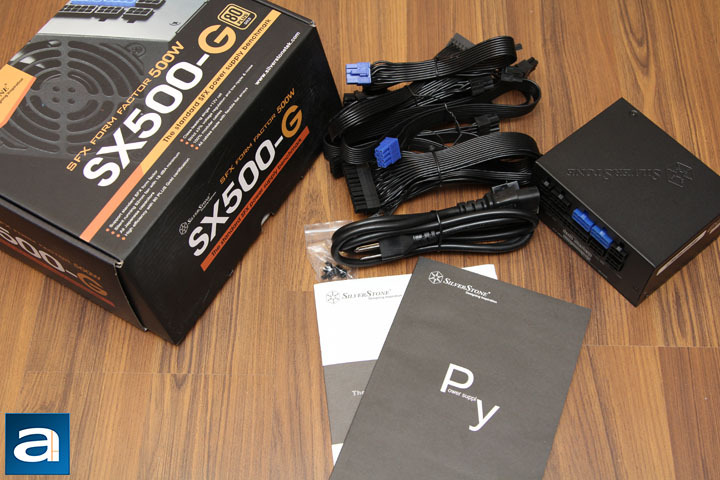 In addition to the SX500-G from SilverStone, they also sent us the SFX SX650-G, which we have already taken a look at. After pulling the review unit out of the shipping box, we can get a closer looker at the retail package. The overall design of the package is quite standard. 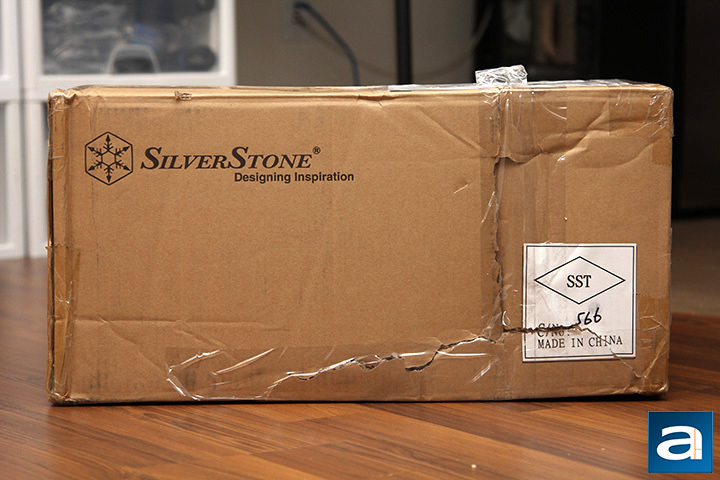 You can see a SilverStone company name and logo printed on the top left side of the box. A photo of the power supply unit is shown in the middle of the box. Interestingly, it is not a full view of the product, while you can still get the idea it is a full modular power supply unit thanks to the sockets in the picture. Right below the product photo, there is the “SFX FORM FACTOR 500W”, which indicates what kind of computer case it can be screwed on, and how much power it can deliver. The product’s name, SX500-G, is clearly printed at the lower half of the package, and an 80 Plus Gold certified label is on the right side of the product’s name. All the features of this power supply unit are located at the bottom of the box. Generally speaking, the retail package design does its job. By just glancing at the package shortly, customers can easily find the most important information about this product, its form factor and supported power output. Opening the box, you can see all the things you would expect from a power supply unit package. There is a power supply unit itself and a set of accessories. It is worth mentioning inside of the box, the power supply unit is wrapped by a plastic bag, and it is protected by two pieces of foam brackets. Since it is a fully modular power supply unit, the cables are provided. There are two booklets provided, and they are installation instructions and other useful information you may need to use. You can also find a bag of screws for you to install it in your computer case that supports the SFX form factor. Of course, if you intend to use this product in an ATX computer case, an SFX to ATX bracket will be needed, which is sold separately by SilverStone.